Over the course of the past year, we’ve performed digital marketing audits for clients in a range of industries, covering everything from healthcare and catering, to education and family fun. Recently we compared our findings in the area of technical SEO and discovered that a few key issues showed up again, and again. Anyone with a website should take the time to double-check these issues and optimize. It’s little things like these that add up, and can hold an otherwise well-optimized site back in Google’s rankings. Get the Free SEO Report! 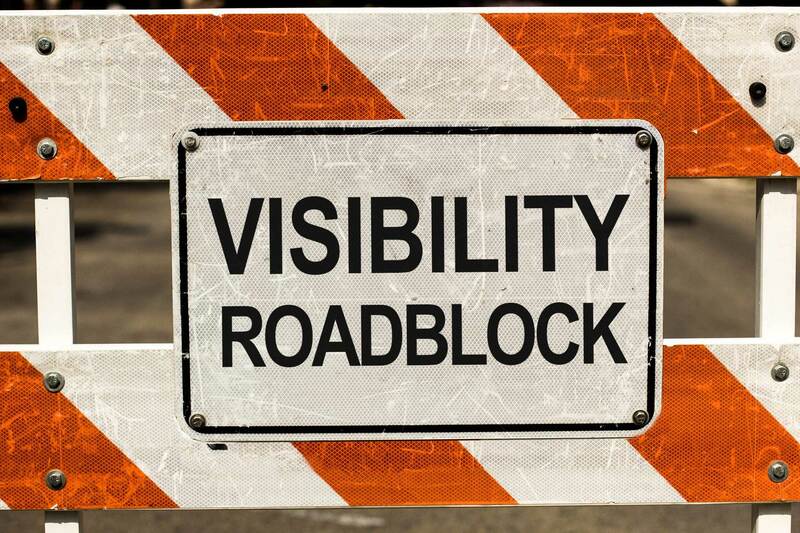 2017 Visibility Roadblocks will be sent right to your inbox! In an age where websites are primarily managed through a CMS, it’s easy to assume that everything behind the scenes is just fine. But, without exception, we always find errors in the code. ALWAYS. 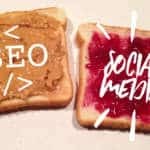 In the bigger digital-marketing picture of creating compelling content and garnering social media shares, HTML tag issues may seem a bit nit-picky. But look at it this way: your website is the hub of your brand and the foundation of your digital marketing presence. If your pages title tags and heading tags are not optimized, your site is losing out in search. In our 2017 Visibility Roadblocks Report, 64% of websites had missing H1 tags. A vast majority of pages (82%) had multiple H1s per page, and 55% with duplicate H1s. Run a simple website audit and clean up your tags. Since tag issues such as these are so easy to address, it makes little sense to ignore them. Any number of websites offer free SEO audits. (Our favorite is SEMRush.) After running the audit, your report will include a list of pages on your site with HTML issues. Begin by looking for duplicate and missing title tags. It’s important to address title tag issues first, since they are the most impactful. Not only are title tags used by Google to determine your page’s “rankworthiness,” but remember, the title tag is what searchers will see in the SERP and entice them to click on your result over a competitor’s. Next, look for pages with duplicate, missing, or multiple H1 tags. Google’s algorithm uses title tags to identify the topic of your page and its relevance to the searcher. Do not use the same title tag for every page on your site. This is an easy oversight, since it doesn’t display in your page content, but unique title tags are invaluable to search engines. Be sure your title tags are not too long; ideally around 50 – 60 characters. You can use the Title Tag Preview Tool to see how your title tags present in search, and if any key info is getting cut off. Be sure each page has an H1 and that it is unique. It’s helpful to use the focus keyword for the page here. Proper on-page optimization of these important HTML tags will ensure you’re taking advantage of picking the low-hanging SEO fruit, and will reap the benefits in 2018. Google has “decided to take site speed into account” in search engine rankings since 2010. Yet, beyond the almighty algorithm, there is a less abstract reason why it matters: people. Ever been to a site that takes too long to load? Did you bother to stick around and wait? That’s your #1 reason. Not one of the websites we audited scored Good or Excellent in Google’s PageSpeed Insights. And nearly three-quarters took at least 9 seconds to load! For each additional second of load time, it’s estimated that a website loses 7% in conversions. Faster sites simply perform better overall—they retain their visitors for longer and are more likely to convert. Factor in the increased need for speed when it comes to mobile browsing, and you can see how a fast-loading site is imperative to digital marketing success. Eliminate resource hogs on your site. Revving up a slow site can pose a challenge; there are many factors that could be bogging it down. The best place to start is Google PageSpeed Insights. This free service will quickly analyze your site’s speed and produce a report outlining recommendations for improvement. 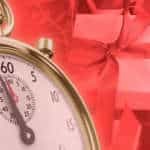 Dive a bit deeper into improving your site speed: free tools, such as GTmetrix.com, enable you to complete certain “clean-up” tasks more quickly, such as downloading optimized images straight from within the tool. Animations and rotating banners – This is a hard one to let go of, but study after study shows that these gimmicks add little to no value to the effectiveness of a webpage, and are, in fact, much more likely to be a turnoff to your visitors. What’s more is they are often implemented using resource-intensive plugins (see #2 below) that allow you to upload massive images (see #4 below), and add to your theme files with customized CSS (see #3 below). Plugins – Plugins are quick and easy ways to expand the functionality of a CMS-built website, but each plugin adds load to your site’s resources, even plugins that have been installed but are not being used. Take the time to deactivate and uninstall any unneeded plugins. Critically evaluate if each plugin you are using adds enough value to merit any lag. Finally, consider investing in a custom-developed plugin that can combine the functionality of several that are key to your website’s performance. Site theme — A pre-designed theme, even the most popular ones, comes with overhead. Theme developers have to make concessions so their design works reliably with a CMS and its regular updates, as well as any of the thousands of plugins available. This usually results in more included files than ideal, or extra code embedded into the HTML output. All of this creates a lag on your site’s front end rendering. When you’re confident your website’s look and feel is solid, have a developer go through your theme files and look for areas to consolidate and optimize. Unoptimized graphics and video – Yes, this still matters. Even though your CMS may allow you to upload a 500GB video, it doesn’t mean you should. Take every opportunity to compress and optimize any graphics you are using on your site. And don’t count on your CMS to do an effective job at compression for you. Server bandwidth — Have you outgrown GoDaddy? What you think you are saving by keeping your monthly server cost low, you’re losing in prospective visitors and conversions. Upgrade now! While we were pleased to see that most sites we audited recognized HTTPS as the standard for site encoding, more than half had errors in implementation . It’s vital to note that if HTTPS is not implemented correctly, it can make a big dent in your rankings. The most common mistake is not specifying that the pages on your site resolve only in HTTPS (rather than HTTP). Not doing this will confuse the indexing process, and your site may end up penalized for duplicate content issues. In 2017, we also saw rising use of our favorite “new” technology, schema markup. In our opinion, this is the future of SEO. Structured data, particularly schema markup, will be essential not only in web-based indexing, but also in fueling mobile apps and the soon-to-boom market of voice search. Schema.org has been around since 2011—it’s a collaboration between Google, Bing, and Yahoo to create a common structured data language to markup web pages. Of the websites we audited in 2017, 27% were using schema markup, but fewer than half of those sites were using it correctly. In other words, 91% of sites audited were either not using schema markup, or had it set up incorrectly. This as a huge opportunity for our clients and we expect to see a jump in use as we perform audits in 2018. If you are unaware of schema markup, one of it’s most immediately appreciable applications is in Google’s “featured snippets”. The standardized structure of schema markup allows Google to parse site content in such a way that it can end up in those blocks of content that appear ABOVE the search results. (Yes, above!) You can commonly see this when you search for a recipe or how to, but it’s becoming more pervasive for all kinds of searches, and is particularly powerful for e-commerce. These are just a few examples of schema markup in use. In fact, the whole purpose of structured data is to make your content usable in almost any way imaginable. Think big—really big! The possibilities are endless. Once you’re up to date with a secure site, it’s a great time to try schema markup. You might not see an immediate need for it, but we recommend taking it for a spin on your most relevant pieces of content, such as your about page (as long as it is actually informative), as well as pages or blog posts that expound in detail on your products of services or explain how something specific is done in your field. And if you are in the business of selling products on your website, drop everything and implement schema markup now! It’s easy to get started by using a schema markup generator. After filling out the form, simply copy and paste the markup into your page’s code through the HTML editor. Also, be sure to validate your markup with Google’s Structured Data Testing Tool. Frankly, we’re surprised how many businesses fail to do this. In fact, we were going to leave it off the list because it’s so obvious, but perhaps it bears repeating. At least 80% of the websites we audited in 2017 had not submitted their XML sitemap to Google. Upload your XML sitemap to Google. Better digital marketing in 2018! The expression goes something like, “those who do not learn from history are doomed to repeat it.” and it certainly rings true for 2017, in many ways. The least of which may be digital marketing, but that’s our field, so we’ll withhold any commentary otherwise. Learn from these common mistakes. Make it a goal to check for the issues we’ve listed above and remedy them in the new year. Do yourself a favor and download our findings of the top SEO mistakes of 2017 and use it to build a brighter 2018.